Spooner Area School District Community Education offers a wide range of programming to engage youth and adults with community-driven learning and enrichment opportunities. Use the links on left side of the page to learn more about options and opportunities available to you. Do you have a special skill or knowledge you would enjoy sharing with others? 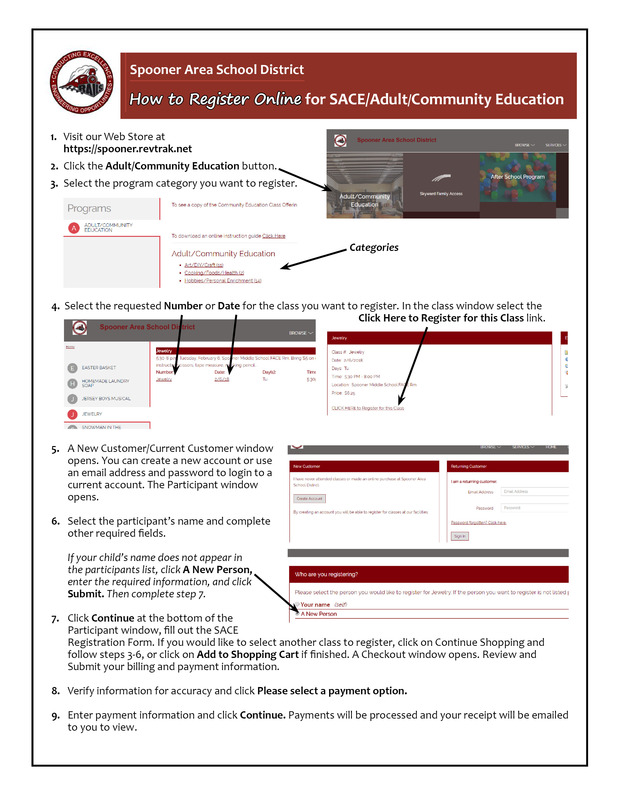 SACE is always looking for fresh class ideas.